The Attorney General (AG) has given instructions to CID that Ven. Uduwe Dhammaloka Thera be named as a suspect and necessary steps be taken to produce him in Court for allegedly possessing a baby elephant without a valid licence. The Attorney General observed that there are sufficient evidence to initiate criminal proceedings against Ven. Dhammaloka Thera under the Fauna and Flora Protection Ordinance. The Attorney General has further instructed the CID that immediate measures be taken to produce Ven. 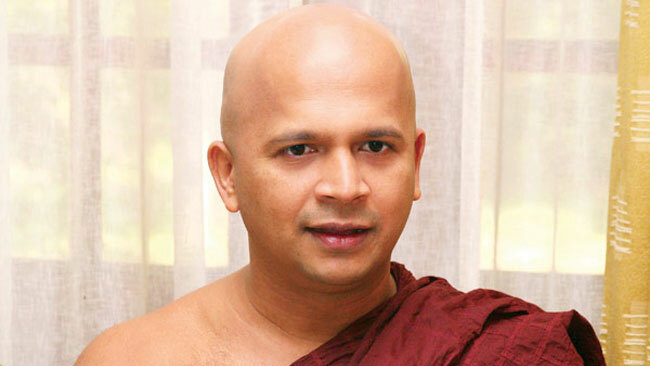 Dhammaloka Thera in Courts after recording a statement. The value of the baby elephant has been estimated at Rs.5.9 million. The letter containing the opinion of the Attorney General was yesterday submitted before Colombo Additional Magistrate Nishantha Peiris. Wild Life Department officials had taken into custody a two and half year-old elephant calf without a valid license which was found inside the Alan Mathiniyaramaya Temple in Polhengoda on January 28 last year. The CID had earlier recorded statements from Ven. Dhammaloka Thera and the mahout who was in the temple in this regard. The CID had further informed that investigations are underway to ascertain as to how the baby elephant was brought down to the temple after it was captured from a forest reserve without a valid license.